At Arlene Antoinette Skincare, we believe that radiant, glowing skin shouldn’t be a luxury, but an everyday reality. We offer a full spectrum of innovative and age-defying treatments to retain the naturally beautiful skin you were born with, to protect, maintain and rejuvenate your complexion, to replenish lost stores of collagen and elastin restoring youthful, radiant skin. The beautiful, luxurious skin you see on the red carpet can now be yours with this exciting and innovative procedure for improving your complexion. Regenerate dying skin cells, rejuvenate the skin’s deep layers, and nourish and hydrate your face and neck all without surgery or other invasive methods. The result is a fresh, healthy look with youthful glowing skin. How does the procedure works? 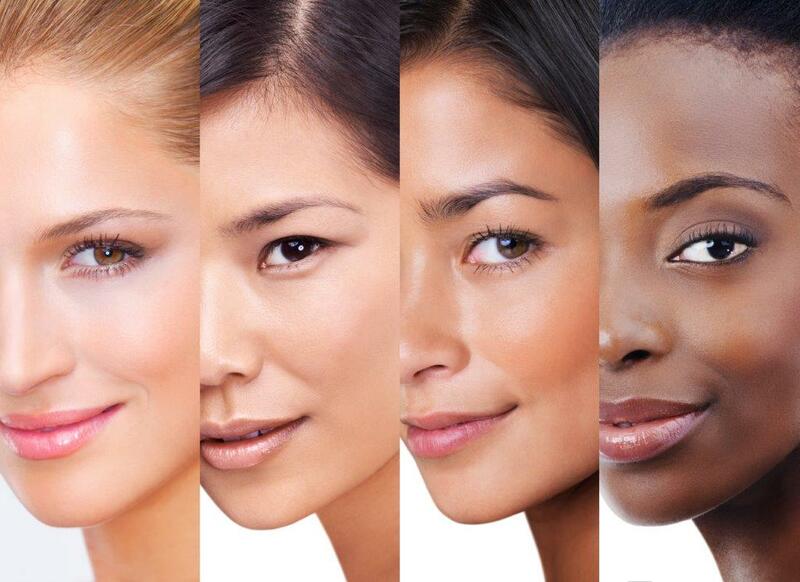 The Glam Lift & Glow Treatment™ is a three step procedure that’s great for all skin tones, types and colors, on both men and women. 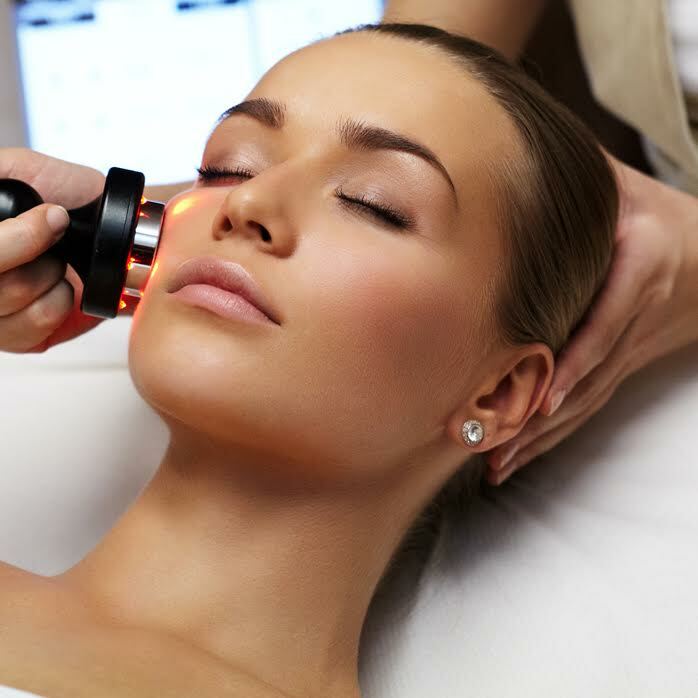 The treatment combines the benefits of Radio Frequency Skin Tightening, Vitamin C exfoliation and LED light Therapy. Radiofrequency gradually delivers energy deeply into the skin, causing heat to build up where the skin and fat layer meet. The increasing heat modifies the collagen bundles deep in the skin, causing contraction and stimulating the growth of new collagen over time. The result: tighter, younger looking skin. Vitamin C to gently exfoliate the dead skin cells from the surface while simultaneously providing nourishment to the skin. 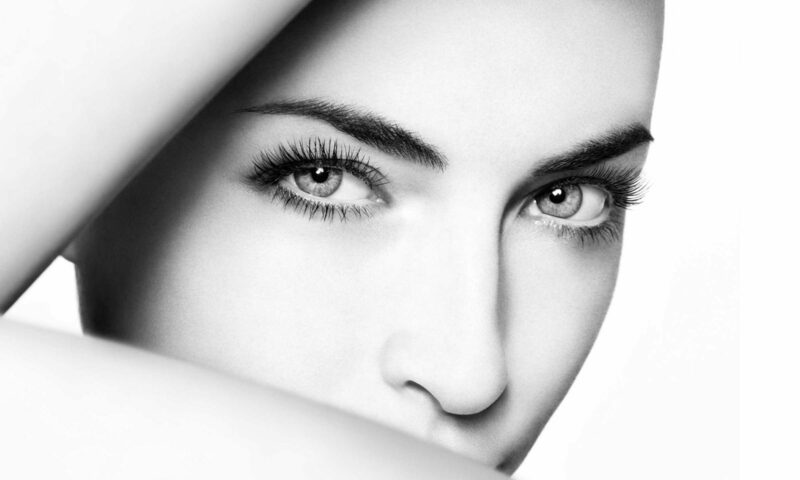 LED light therapy, stimulates the skin’s deeper epidermis for a transformative outcome. The treatment may also include the infusion of micronutrients, herbal extracts, amino acids, coenzymes, vitamins, hyaluronic acid, antioxidants, minerals and medicine into the skin cells, for comprehensive nourishment and renewal. These tiny boosts of energy improve circulation, promote ideal cell metabolism, halt the proliferation of free radicals, and stimulate collagen and elastin production. The result is smooth, sparkling skin that appears to be straight out of a magazine. This treatment is great for reducing enlarged pores, improving the skin’s texture, reducing facial redness, eradicating wrinkles and fine lines, and reversing acne scars. After just one session, results are visible, however we recommend a series of 4 treatments spaces out 1-2 weeks apart in order to see the most beneficial result from the treatments full power to renew your skin. With The Glam Lift & Glow Treatment™ there is simply no pain, no discomfort and no downtime. Most clients can return to work and normal activities the same day as their treatment, provided they feel ready to do so. In some rare cases, clients may experience mild redness, bruising or swelling. These side effects are short-lived and often disappear within a few hours, so don’t be alarmed. Your first step is to schedule a consultation in the privacy of our office where you will encounter outstanding client care and personalized attention from the moment you walk in and all the way through service and recovery. During your session, we will perform a detailed skin analysis, review your medical history, and help you to decide if the treatment is right for your lifestyle and needs. Be sure to ask as many questions as you like. We are always happy to spend time educating our clients so they can proceed from a fully empowered position of knowledge and understanding. What is the Oxygeneo Super Facial? OxyGeneo™ Plus w/Ultrasound is a new 4-in-1 skin treatment. It’s like having Microdermabrasion, a Chemical Peel, and an Oxygen Facial all in one treatment. Immediate benefits are softer, smoother and brighter skin! By inducing skin oxygenation, OxyGeneo™ triggers a body response that sends oxygen to the treated area. At the same time, OxyGeneo™ exfoliates the skin and creates an optimal environment for infusion of essential nutrients both during and after treatment. Oxygenating the skin is beneficial in all anti-aging and corrective skin procedures, as it increases cell metabolism and makes the skin more receptive to the nutrients being infused into the skin. What does the Oxygeneo™ Super Facial treat? There are two types of Oxygeneo™ facials. The first is the NeoRevive. The other Oxygeneo™ facial offered is: The NeoBright. The first step to this and any facial is to cleanse the skin. This gets rid of any pollutants on the surface of the skin so you have a clean canvas going into your facial. 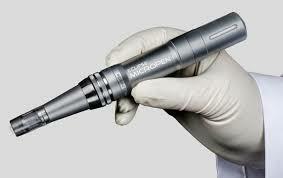 The technician will then move on to the exfoliation portion of the treatment using the Oxygeneo™ tip. This not only gives a deep exfoliation, but also oxygenates and opens up the skin to absorb all of the nutrients from the products. The facial is then finished off with a facial massage, serum application, hydrating mask and a cream. 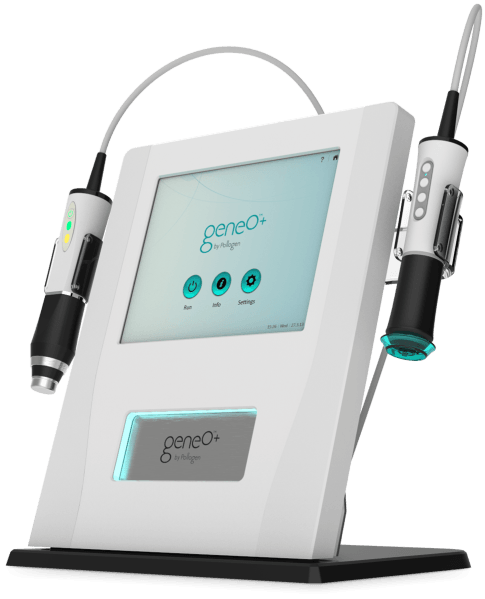 Oxygeneo™ treatments are can be a stand-alone treatment or can be done in a series every 2 weeks for a series of 4 to 6 treatments. Who can get an Oxygeneo™ facial? OxyGeneo™ treatments are suitable for all skin types – any ethnicity and pigmentation, sensitive skin, and even for those who keloid (scar) and couldn’t otherwise have abrasion treatments. Radio frequency is specifically designed to sculpt and remodel your skin. Men and women in good physical health and are experiencing mild to moderate skin sagging, wrinkles and lines, but are hesitant to pursue a surgical facelift or other more invasive procedures are perfect candidates for this treatment. The brainchild of a Swiss dermatologist, microneedling has been used frequently across Europe for the past 20 years as a top modality for acquiring beautiful skin. Today, it is slowly becoming quite popular in the US as well, thanks to its unique ability to fade scars, revive sluggish skin, and rejuvenate the overall complexion.